Forza Global is a manufacturing company, specialising in gas and water systems for the plumbing and building industries in Australia and New Zealand. They manufacture PEX-A and PEX-B pressure pipe in both PN16 and PN20 pressure classes for heated and cold water applications and multilayered pipe in PEX/AL/PE and PEX/AL/PEX for gas applications. Their range of fittings includes slide sleeve technology and crimp-ring types. Forza Global’s range of products offers plumbers and builders the opportunity to purchase top-quality products at very competitive prices. 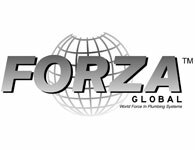 Forza Global’s products are specified by a number of the largest volume building and plumbing companies in Australasia.